The Northern Nevada Patriot Guard Riders were honored as Nevada's Veteran Supporter of the Month at the Governors Mansion. 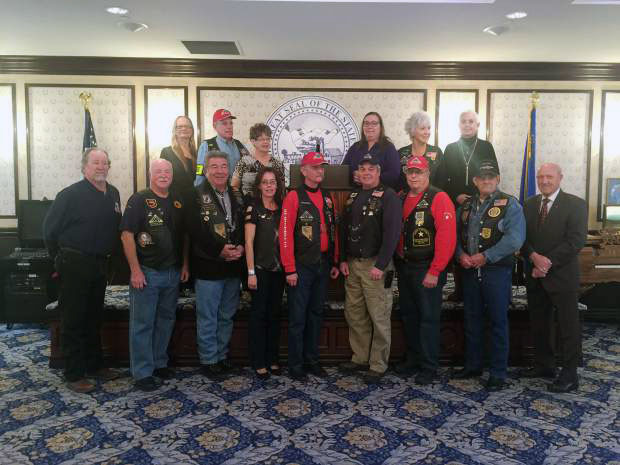 During a ceremony at the Governor’s Mansion, the Northern Nevada Patriot Guard Riders were honored as Nevada’s Veteran Supporter of the Month for November. The Veteran Supporter of the Month Award recognizes both active organizations and nonveteran Nevada community members who provide exceptional support to the military stationed in Nevada, Nevada veterans and their families. This program expands the Nevada Veteran of the Month Award (VOM) by shining a light on individuals who, while not serving in uniform, help veterans with no expectation of recognition or award. It also serves to recognize the contributions of organizations who donate their time and energy to improve the life of our veterans. The ceremony was open to the public and free to attend, as are many events hosted by NDVS. 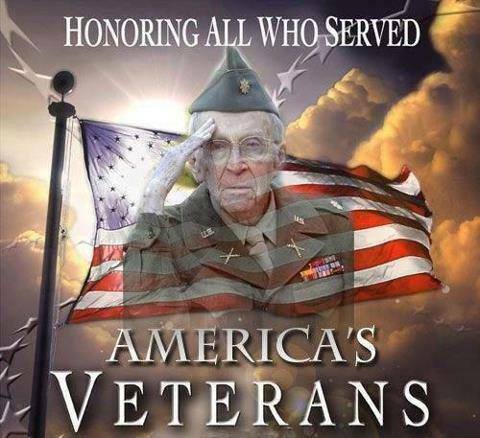 For information on outreach efforts and available programs for veterans, go to http://www.veterans.nv.gov/, or call 702-486-3830.